Get ready to do combat with those pesky yet adorable slimes once again, because today Square-Enix has officially announced that the latest entry in the beloved Japanese RPG series Dragon Quest is getting localized for a western release. More specifically, series creator himself Yuji Horii delivered the message himself in a short little video. Watch the announcement video below – it’s just too cute to miss out on. There’s a particular bit near the end that adds a lot of charm to this announcement. This is a peculiar case, however. 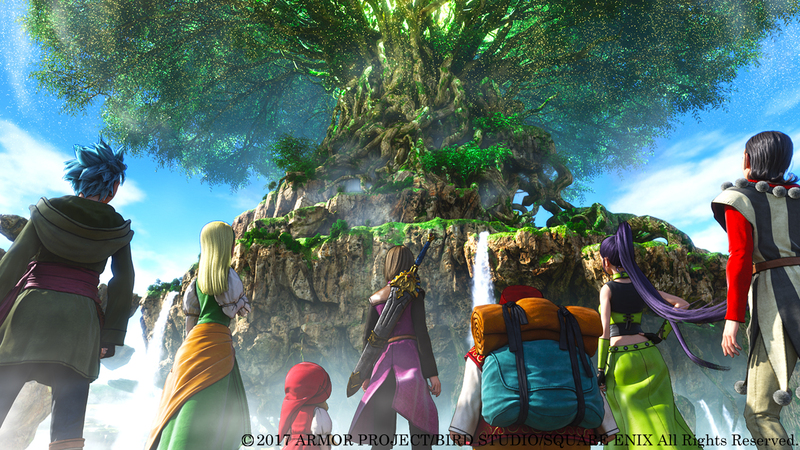 Dragon Quest XI: Echoes of an Elusive Age is an interesting game because it was released in Japan on both the Nintendo 3DS and the PlayStation 4. While the stories and characters are the same, the game plays out slightly different. Both versions feature the classic turn-based combat the series is known for is back with some slight real-time additions thrown in. The PS4 version of the game plays out like a full HD adventure, while the 3DS version does something rather clever. You can play the 3DS adventure like normal, featuring the beautiful and colorful graphics of any 3D Dragon Quest game. However, if you want, you can actually switch the game to have a retro look. That’s right – you can make the ENTIRE game look like a classic Dragon Quest game, pixels and all! It’s quite a neat effect! And that’s not even mentioning the Switch version, which seems to be a port of the PS4 version. Our question is which of these versions is getting localized? Or will all three versions be localized? We hope that’s the case, so that many people can experience the joys of a new Dragon Quest game. The game is coming 2018, but Square-Enix said that more details will be revealed later this year. Sit tight Dragon Quest fans!